Free SLDR drivers were custom fit for the unsuspecting customers. FlightScope Xi golf launch monitors were used to fine tune each driver to the needs of the client. Golfers were given the opportunity to get a glimpse of what it feels like to be a tour player. TaylorMade, with FlightScope’s assistance, held their Speed Pocket World Challenge in New York, San Francisco, London and Toronto. Local and international winners will be announced shortly. Read the full story by following the link below. 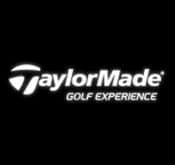 In this video the brand new TaylorMade Rocketballz 3 wood is fitted using a FlightScope X2 golf launch monitor.